Hi earth!how ya doin’?is it cool?bet you do. So this week lately kinda cool and fun but also lame in the same time. But it’s life anyway, we can’t just have it fun all the way. Some lousy moment need to make ourself keep steady and alive. Well haven’t you know that actually I just got a great moment for my profession and passion? Yep, I attend again an event abroad that very important for my work. Again, it’s the ASZWM event, it’s their 6th meeting and held in Singapore. From the very first time,last year when i heard the news, i kinda not too interested. But this kind of event is good to push me to work a paper more and more. Yep, when i’m trying to attend a conference, i always push mysef not just to be a spectator. I need and I have to involved deeper in the show. Last year I did it. This year? Well I did it again. I got 2 papers accepted to be presented in the event. Well actually one of the paper is the first one that the committee received for this event. I got too excited huh? But then I realized that it isn’t enough just to send a paper. To attend the event, I have to prepare money to go there. And it’s Singapore anyway, an expensive country to visit. My very first plan to prepare the expense is to look some donation and sponsors. I’m flooding proposal to may peoples. Most fo them are my friends, relatives and colleague in wildlife NGO or zoo. Most of them can’t help me, most of them trying to help me to connect me with their other relatives, some of them also not reply it. So… I made a second plan which is drained my bank account..It needs about 800US $ for everything, but the most expensive fare is the conferences and their additional wetlab workshop (reptile endoscopy) which i have to attend also.And it’s as same as my 4months salary.:(.. So here it went my money, sucked to the registration,hotel and airplane. Almost at the end of my broke, there was a great news from a friend in New Zealand who could collect money to help me. Thanks to Vanessa Rowe and friends from the Animal Welfare Trust New Zealand. 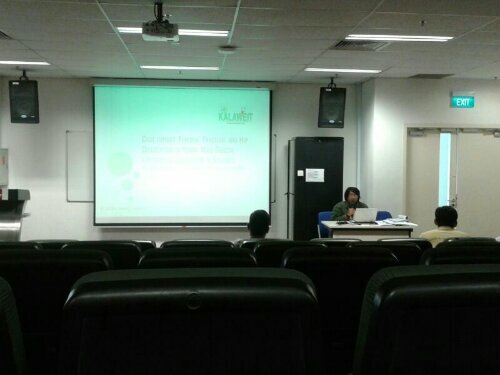 Felt so relieve for that..And after that i could just focus everything for the presentation. One oral presentation about fracture case report and one poster presentation about epidermoid cyst case report. The problem is, the other papers werre pushing me down..the other topics were just too good compared to mine. I shouldn’t take the oral presentation, but..whatever.. I managed everything for the presentation. And there went the insuffiency data to present like pictures. I’m dead. So it’s a not too good topic to present, compared the others, and it’s a handicap presentation due the lack of data to preserve. Fucked me. Then there came another bad news, which is my sponsors fund haven’t reach to my office’s bank account. 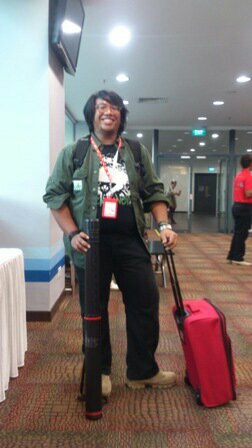 I didnt have any money left to booked a hotel,paid the poster and save some for urgent things in Singapore. Third plan,owe some money to my parents!LOL..but luckily, at the edge of D-3 Day, the sponsors reach me…!yeaaay..so i can pay my owe and relax..fiuh..print my poster and i’m ready to goooo!!! In the night we moved to Singapore Zoo for the opening dinner. 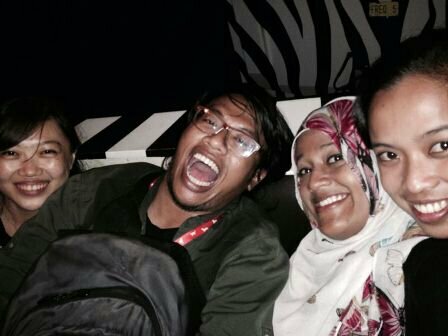 The food were not that good, but we were kindly entertained by short trip of night safari!yeaaay…! !but actually Safari Parks Indonesia were better,they should arrange the night safari also. The best point of the Singapore Zoo is their animal hospital,Polar bear and the close distance enclosure to visitors. 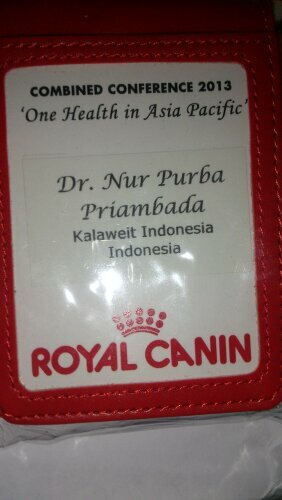 They run a very good management and trained the animal very well. They trained the orangutan to easilly gave their hand to the vet, being taken the blood so easilly also without any stress or even anasthethics.Great huh?Well it’s kinda great experience to have a short visit to that zoo actually. The 2nd day were more kind. We didnt have to wake earlier to reach the bus pick up. But i’m running more and more sleepy..got a coffee shot many times but it didn’t works.damn. Many interesting case and presentation, one of it of coures, Dr. Paolo Martelli. This man is a field practicioner who always try to explore everything. He likes to develop his vet med skills with many cool and sophisticated gadgets and applied in the field, especially in the wild animal health. This doctor is one of the awsome doctor i’ve ever seen in my life. So i’ll add him in my vet idol list anyway (actually since last year :D)..Reaching more lame topic abour DNA…and we decide to moved to UPVA stream. UPVA stands for Unusual Pet Veterinarian Association. At the first I kinda underestimate it. Since sometime i don’t respect for unusual animals that kept as a pet. Anyway, the topics were very interesting, so clinical. 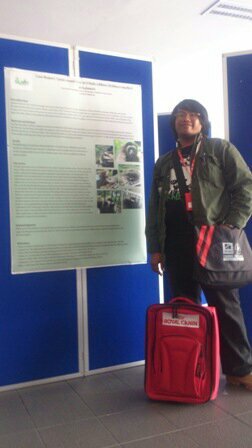 I thought if you seek for case experiencing of many special species, it worthed to be attend. Hahahaha…Finally we reached at the end of the event. Somehow every good experience at this event turn to flopped. Baaad all the time. The closing conference were bad. The committee prefer to end it in a big dinner, which we have to pay 60$ again to attend it. Lame. Then the committee doesn’t really care for the rest of participants who didn’t join the dinner, especially for the bus service and it’s rain at that time. Luckily one of the committee feelin’ sorry for us, so he managed a bus to take us home, an empty bus that actually rent for the dinner event..And the worst for this expensive event is…..they didn’t give you any certificate..not only for the presenters but also for the whole participants..which was weird..because last year at Thai, the cheaper event one but similar,gave certificate to each participant. Tried to ask the committee, they refer it to the ASZWM boards..Tried to contact them, no respons..Just found one interesting thing,the most expensive thing in Singapore isn’t a hotel price, or the food, or any other transportation..but a certificate.great. Ok, another lesson to learn guys.